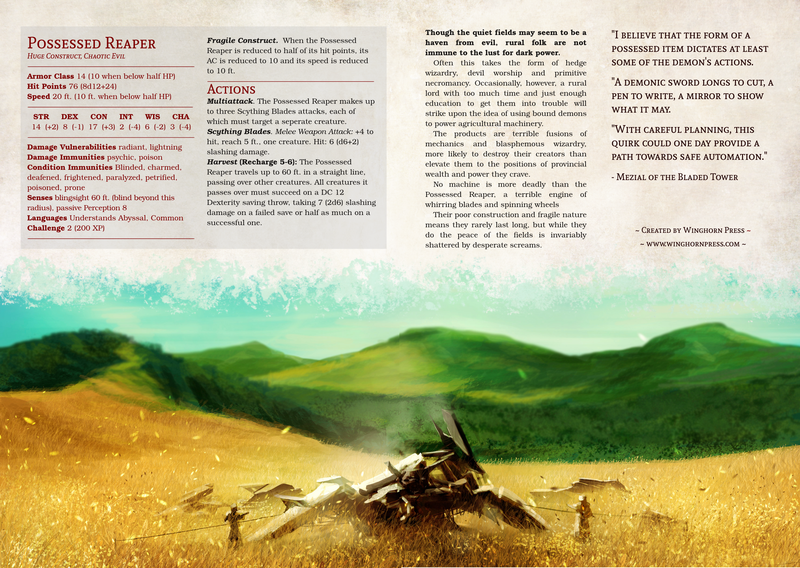 Have you ever felt the need to make your party fight an evil, demonic combine harvester? If so, we now have the stats for using one in your game! This monster was created for our upcoming adventure book, A Call for Heroes.